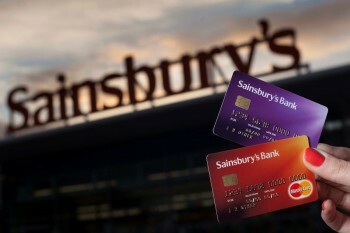 Sainsbury’s Bank has three different Nectar-earning MasterCard cards. Most of the time, we don’t think much of them here at Shopper Points when looked at purely from a points earning perspective. One version offers a low rate on balance transfers, one version has a low interest rate and the other has a bonus deal on new purchases. All three versions of the card earn Nectar points when you spend. However, as you can read on this page of Shopper Points the Nectar points earning rate is not great. You earn just 1 Nectar point for every £5 you spend. Since every transaction is being rounded down to the nearest £5, you will earn no points at all on purchases of £4.99 or less even though you are spending money. This is very poor indeed. At least there is now a new sign up bonus of 7,500 Nectar points – 2,500 more Nectar points than last time. This comes with a catch, however, as I will explain below. There is no annual fee, so it might be worth taking another look at the credit cards. In order to qualify for the 7,500 Nectar points you need to be a new customer. Unlike previous promotions you can earn the points with a minimum spend of £350 rather than £800. You get 750 bonus Nectar points every time you spend £35+ in Sainsbury’s stores. General spend elsewhere does not count. You can earn up to a maximum of 7,500 bonus points within the first two months. That means you will have to use your card for a while and cannot just take it out for the points sake and cut it in pieces to prevent yourself from using it. You can put it away in a drawer, or cancel it, once you’ve spent 10 x £35+ of course. The offer of 7,500 bonus Nectar points doesn’t seem to have an expiry date – but as we’ve seen different points offers with this credit card in the past, I’m sure Sainsbury’s Bank will change it again at some point.. Depending on what credit card you are looking for you might want to look at the American Express Nectar card Rob wrote about which is a lot better, both in terms of bonus and Nectar earning rate. This card is only free for the first year but, of course, there is no requirement to keep it after the first year either. The sign up bonus on the American Express Nectar credit card is an attractive 20,000 Nectar points and the APR during the first free year is 19.9% variable. Since every transaction is being rounded down to the nearest £5, you will earn no points at all on purchases of £4.99 or less even though you are spending money. This is very poor indeed. Not exactly equivalent statements. Did I miss the criticism of the tesco card? The Tesco credit card is actually better than the Sainsbury’s card – if you do most of your shopping at Tesco. The T&Cs say your points will appear in your Nectar account 60 days after the end of your 2 month period.